The District is governed by a board of five members appointed by each incorporated city and the county at-large. 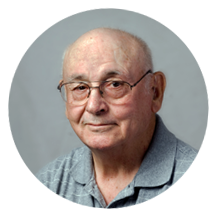 Larry Mower has lived in Northern California since 1947. After graduating High school from Pierce Joint Union High in Arbuckle, CA he spent 3 years serving in the US Army (1959-1962). After the Army, Larry began working for the California Pacific Utilities as a Telephone installer repairman. This position led him to a 29 year career with the Citizens Utilities Company (Now called Frontier Utility). Throughout the 29 years he has worked in Alturas, CA, Elk Grove, CA, Redding, CA and Dallas, TX. After retiring from Citizens, he worked for 4 more years as an Area Manager for Wolters Communication; covering Northern California, Oregon and Nevada. He has served on many boards and committees over the years including: the Alturas Planning Commission, and the Anderson City Council. Currently he serves on the Shasta County Building Appeals Board and was appointed to the Shasta Mosquito and Vector Control District Board in 2008. He has also been a member of Kiwanis International since 1974 and has held every office including Lt. Governor. Ben moved to Shasta County in 2001 to begin his career as a prosecutor with the Shasta County District Attorney’s Office. Over the years, he has held a number of positions within the DA’s Office, prosecuting a wide variety of criminal offenses. He currently works as the Chief Deputy District Attorney, responsible for assisting the elected District Attorney with the day-to-day operations of the office. Ben received a bachelor’s degree from Geneva College in Beaver Falls, Pennsylvania and a law degree from the University Of San Francisco School Of Law. 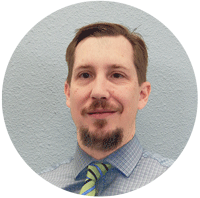 In addition to his work for Shasta County, Ben also teaches as an adjunct instructor for Shasta College. He also serves as chairman of the Administrative Hearings Board for the City of Redding. Ben lives in Redding with his family and enjoys outdoor activities, reading, and sports. Mike has lived in Northern California for most of his life and has been a resident of Redding since 1989. After working several years as a land surveyor with the Six Rivers National Forest, Mike went back to school and earned a B.S. in Environmental Engineering at Humboldt State University with an emphasis in water quality. He has worked both as a design engineer in the private sector and as a water quality engineer in state service. For the past 25 years, Mike has been a district engineer with the California Department of Public Health and the State Water Resources Control Board; responsible for enforcing the state’s drinking water laws and regulations. He also served on the state’s Capacity Development and Small Water System Technical Assistance Committee that developed criteria for assessing and improving the long term sustainability of small water systems. He is a licensed professional civil engineer. 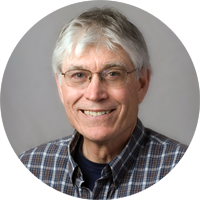 Mike has been involved in many local activities including mentoring with the Shasta Youth Violence Prevention Council, serving on the board of the Shasta Youth Volleyball Club, and tutoring math at Sequoia Middle School. In his spare time, Mike enjoys many of the activities that the North State has to offer such as sailing, kayaking, hiking, cross-country skiing, and photography. Ann has lived in the City of Shasta Lake for over 25 years. She arrived in Central Valley just in time to campaign and vote for the City of Shasta Lake. She has taught part time at Shasta College for 17 years. Her classes include networking, computer repair and computer security. She is presently on the boards of Shasta Lake Gateway Library, Shasta Lake Fire Protection District and now Shasta Mosquito and Vector Control District. Her hobbies include Silver Smith and Lampwork beads. Vickie earned a BA in Business Operations and a MBA in Finance from the University of Hawaii. After graduation, she worked in the San Francisco Bay Area for several technology companies including TRW and Trimble Navigation. She moved to Shasta County in 2001, and was Chief Financial Officer for LifeHelp until 2011. Vickie is currently the Finance Officer at Turtle Bay Exploration Park. 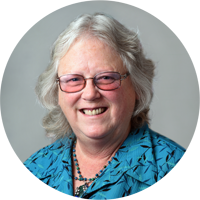 Vickie lived in Redding along Churn Creek for nine years, and participated in the formation of the Stillwater-Churn Creek Watershed Alliance under the leadership of the Western Shasta Resource Conservation District. She moved to Bella Vista in 2010 and now lives in the Cow Creek Watershed District. 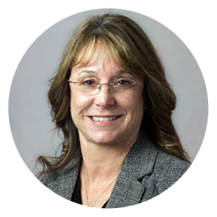 Vickie has served on many boards and committees including the United Way of Northern California's Finance Committee since 2005, United Way's Shasta County Board of Directors between 2005 and 2009 and Haven Humane Society's Board of Directors from 2005 to 2013. Vickie is a 2007 graduate of Leadership Redding and has been a member of the Rotary Club of Redding since 2004. She was appointed to the Shasta Mosquito and Vector Control District Board in May 2011.